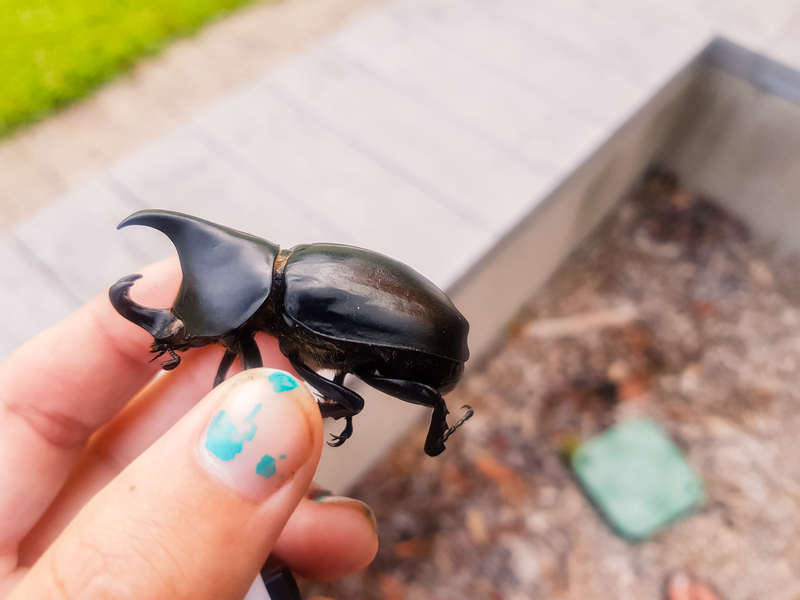 A strange beetle I found today. Took the boys to Bunnings on leave. ECT messes with my head too much. I didn't even remember that Jasmine and Frazzle were killed yesterday by a dog. VJ told me again. I couldn't remember getting the new chickens. I hate this. I tried to get out of ECT by eating in the middle of the night, but they just postponed it.